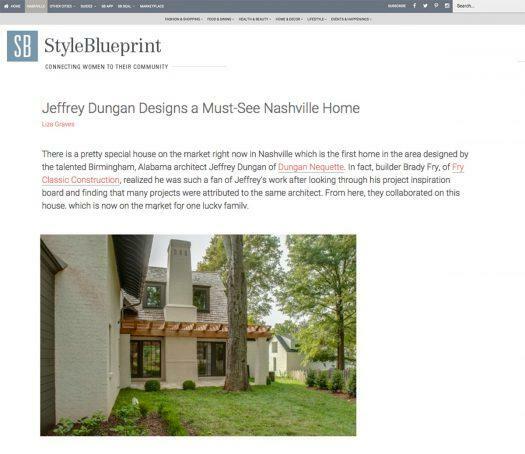 There is a pretty special house on the market right now in Nashville which is the first home in the area designed by the talented Birmingham, Alabama architect Jeffrey Dungan of Dungan Nequette. In fact, builder Brady Fry, of Fry Classic Construction, realized he was such a fan of Jeffrey’s work after looking through his project inspiration board and finding that many projects were attributed to the same architect. From here, they collaborated on this house, which is now on the market for one lucky family. This gorgeous home was designed by Jeffrey Dungan and built by Brad Fry. It is currently listed by Elizabeth Pagano McGuire at Christianson Patterson Courtney & Associates.